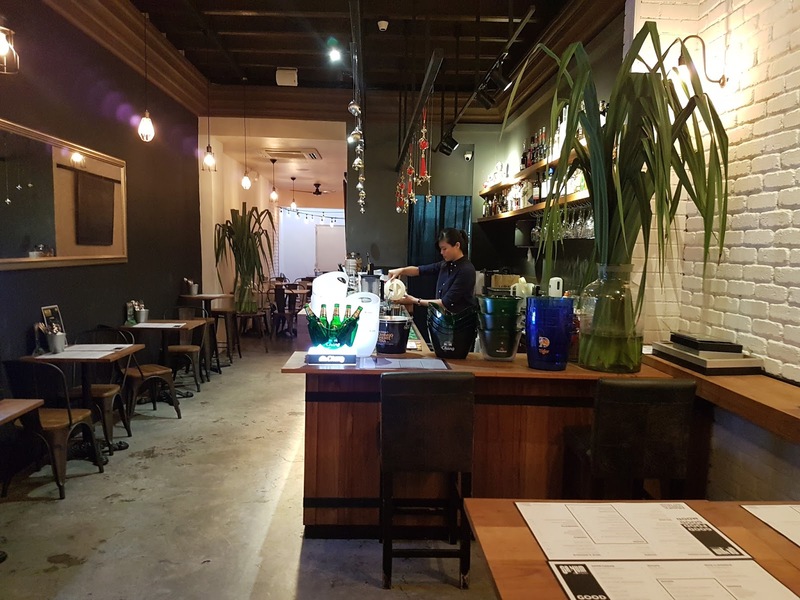 Sa.Yum is not just your typical ordinary Thai restaurant that you tasted in any part of SG. Opened for about a month plus, recently they just revamped their menu and most of the food item listed on the menu are specially handcrafted by their chef who comes from the land of smile itself. I'm honour to be invited to try their new menu. 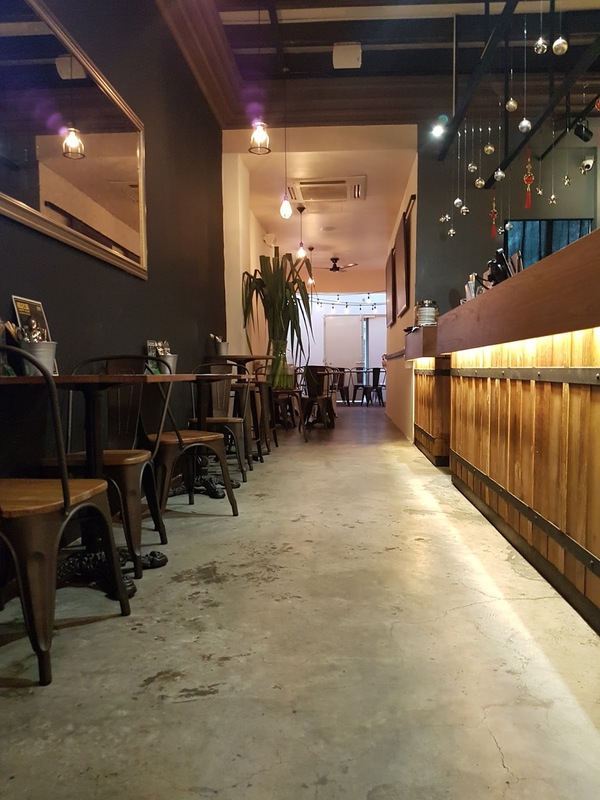 I was greeted with smiles and warm welcome the moment I arrived and have the choice to choose if I would prefer an outdoor or indoor seating. I chose indoor as I love the cosy interior. As I chose had pre order my food beforehand, hence I didn't have to look at their menu. 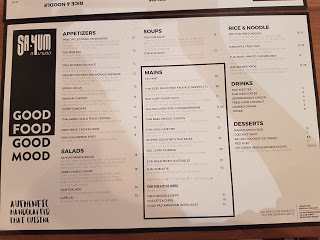 But for your convenience, they had their menu printed as a table mat for your food. There's drinks available too and they offered 1 For 1 happy hour all day!! How awesome right. Within the location, it's a great chill out place after a hard day of work. I ordered Thai Ice Tea for drinks. It's a tad sweet for my taste but overall was nice. Food was served shortly. We didn't have to wait long. 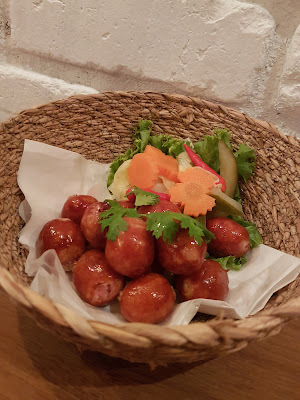 It's a Traditional Thai pork sausage served with a sweet chilli dip. This is specially created by the Chief as she told us that there's rice and pork in this sausage. It's so unique that we can't tell there's rice in it. This is Thai coconut soup with lemongrass, kaffir lime leaf and galangal. 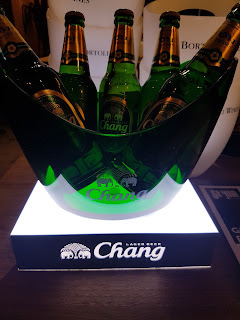 The fragrance is very nice and the first mouth bring a tinge of sweetness. It's not usual for soup to be sweet so I asked the chief. 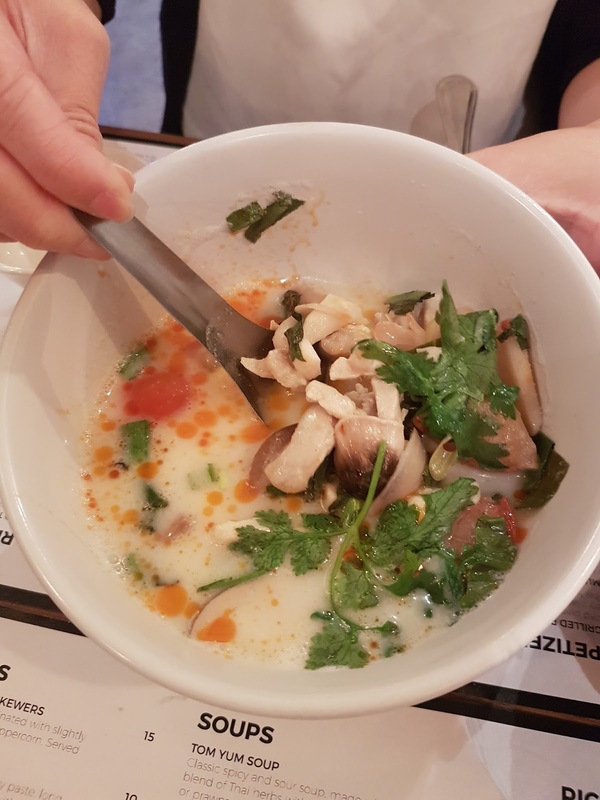 She mentioned that because it's authentic thai food, therefore this soup is sweet as Thai likes their Tom Kha Soup to be sweet. 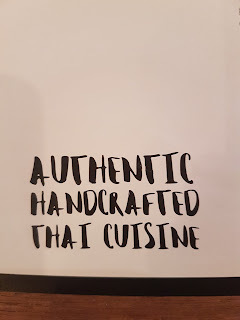 I agreed as I've been to Thailand once and I tried this soup before and it's really sweet. A northern Thai staple minced chicken salad. This is one of the must try!! 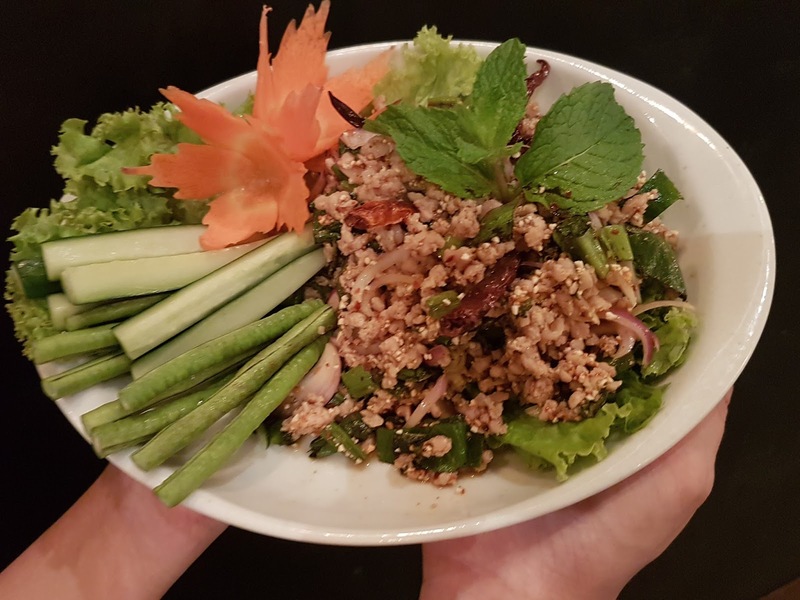 It's not some typical minced chicken salad as every mouth you will be able to feel some crunchiness. Why? That's because chief uses glutinous rice to fried with the mince. 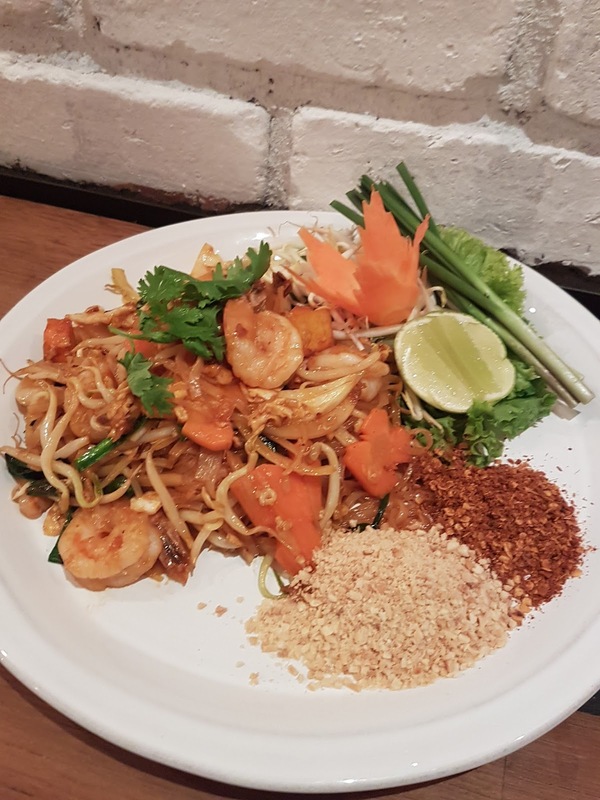 4th dish Maindish - PRAWN PAD THAI FRIED NOODLE - $12 for Chicken or $15 for Prawn. As most of you are familiar with this dish, this is one of their Thai famous food. It's thin rice noodles stir fried with egg, chinese pickles and tofu in a tangy tamarind sauce with choice of either chicken or prawn. The amount of peanut which they gave are so generous. This are also one of the traditional dessert which most are familiar with or have tasted. Sa.Yum served it with fresh mango over sweet sticky rice and with thick coconut cream. Apart from all this food that I ate, there are still tons of delicious which I think you should try it yourself. Just for my friends and reader!! Mention "OLIVIA2017" to get 15% off your food order valid from today to 22nd March 2017. Don't wait and make your way over now!! Disclaimer: Meal was provided for personal review purposes only. All reviews are 100% honest and based on my personal experience. No monetary compensation of any kind was given or received for this review. 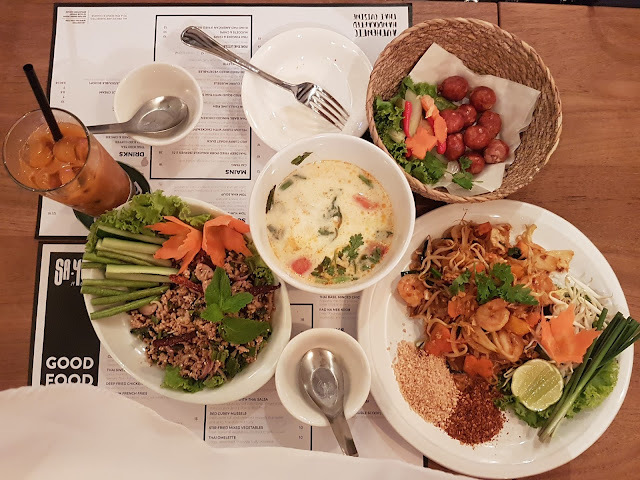 The food looks tempting also esp the PRAWN PAD THAI FRIED NOODLE. 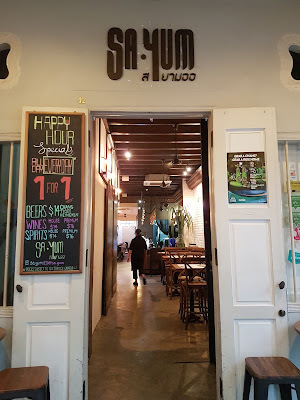 The food looks great and authentic, and does seem quite reasonable for Singapore! 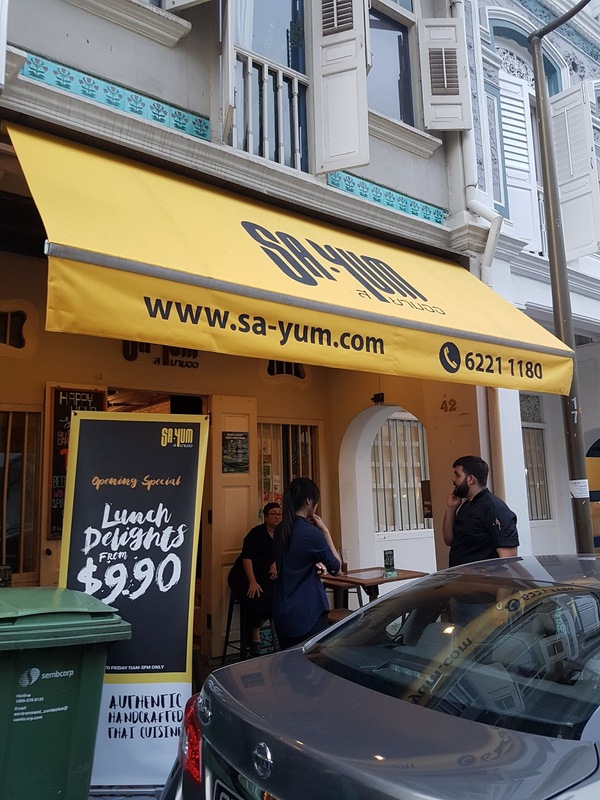 Sa.Yum foods looks tasty and healthy (coz i was many veggies!) 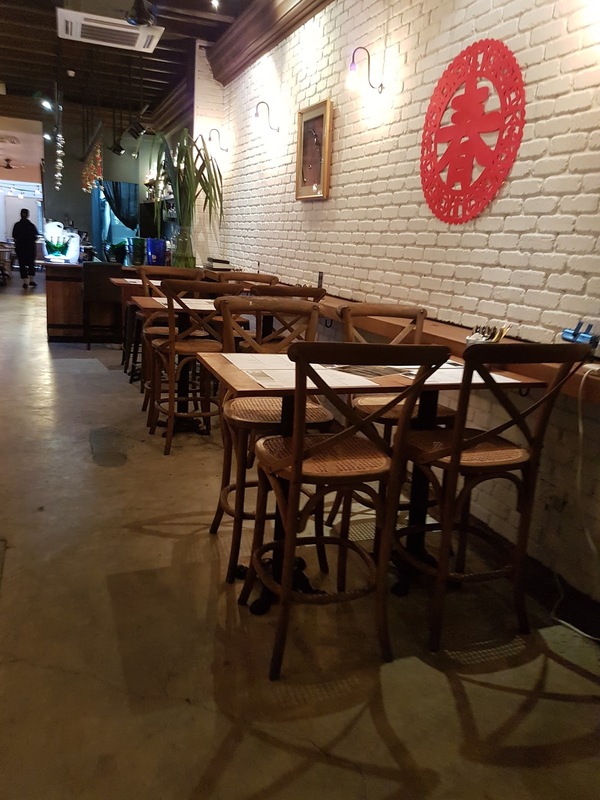 and its new interior design looks great, well lighted. I guess every diners will enjoy the experience. i love tom kha soup in general... not many places have them.. so good to know that this place does! 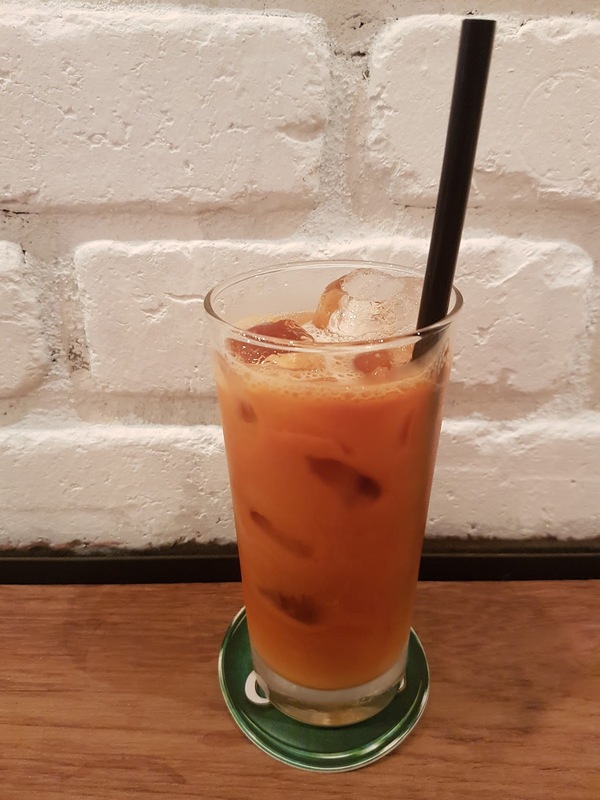 Thai Iced tea looks yummm... I love those interiors with exposed brick and wood!!! How is the option in the vegetarian side? 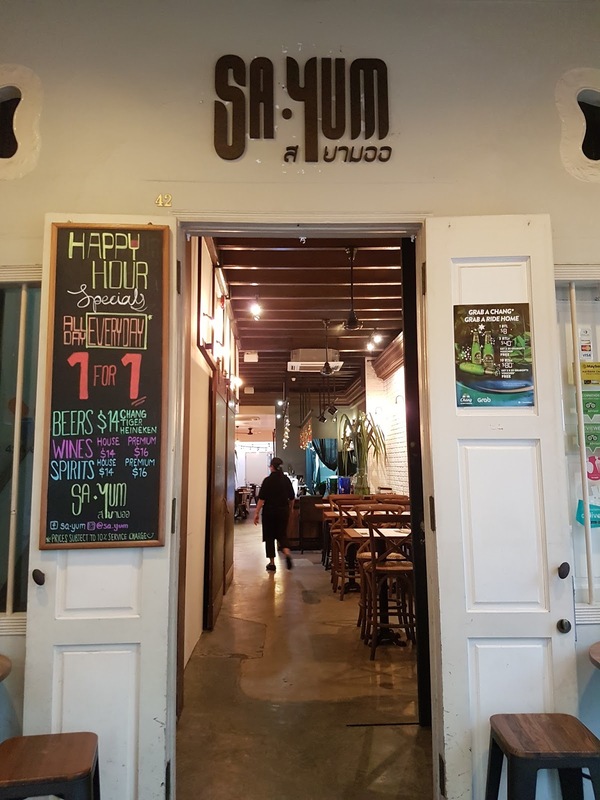 I love Thai street food and I am sure I will enjoy a meal at Sa.Yum too. The restaurant surely has a cute and memorable name! Too pretty to eat. 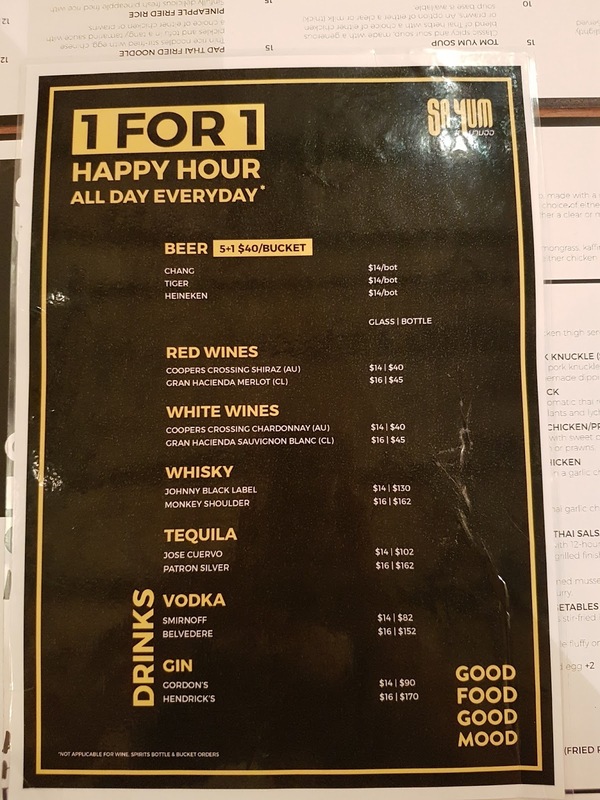 But their happy hour deal is a keeper! looks lovely! would love to try out when i'm in singapore! Looks so authentic and yummy food dear =D Another nice place for Thai food! 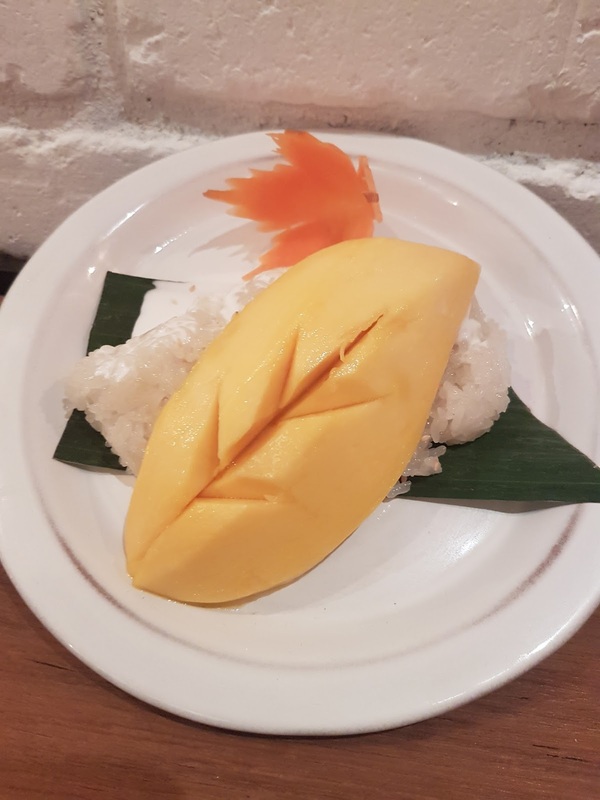 mango on the sticky rice looks nice :) hope is not sour! Pad Thai is one of my favourite lunch dishes. 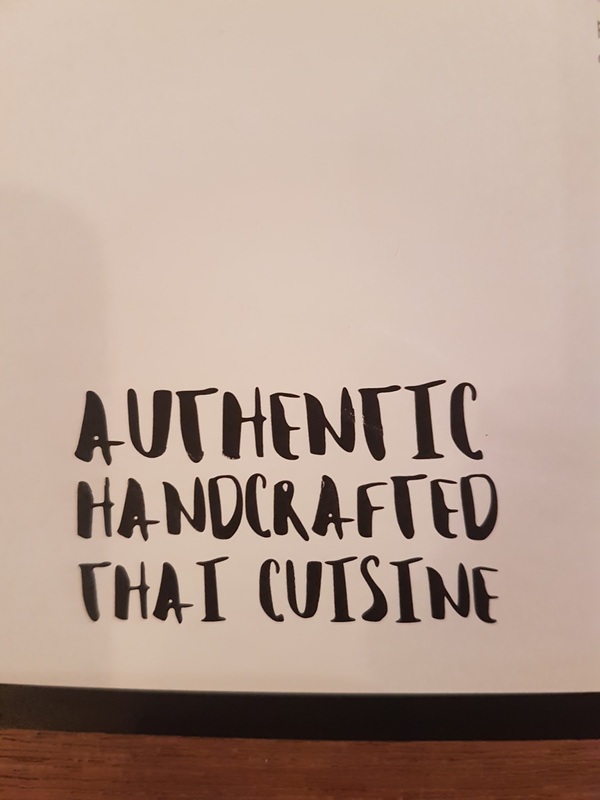 I would say when I eat out, half the time I order a pad Thai.